Back to Home Back to News & Tour Back to Tour news Back to 2018 Back to June Back to US Open: How hard did Shinnecock play on Thursday? US Open: How hard did Shinnecock play on Thursday? Strong winds, deep rough and difficult greens contributed to high scores at Shinnecock during the first day of the 2018 US Open – but just how tough was it? There were strong winds during round one of the US Open at the Long Island course, and just four players finished in the red on a day that saw 25 players out of an 156 man field at 10-over-par or worse. World No.1 Dustin Johnson and Russell Henley joined early leaders Scott Piercy and Ian Poulter for a four-way tie at the top of the leaderboard at -1, while Jason Dufner finished as the only player on level par. It was a stark contrast to the first round of the 2017 US Open at Erin Hills, where 44 players finished under par after the opening round. In comparison, the last time the US Open was played at Shinnecock in 2004, there were 19 players under par after the first round and 10 players on level par. 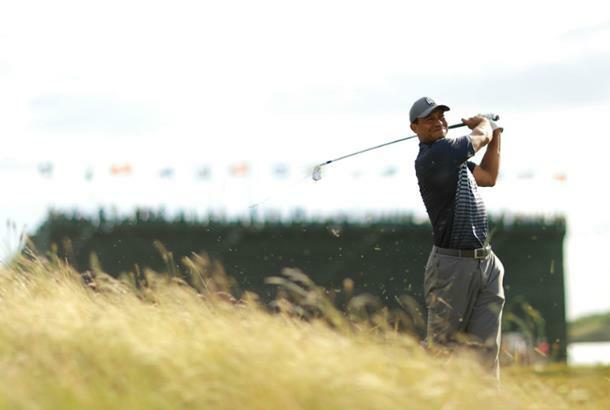 The Scoring Average was 76.48, which is the highest opening round at a US Open since 1986 (when it was 77.87). Both were played at Shinnecock. It also played over three full shots higher than the first rounds in US Open's at Shinnecock in both 2004 and 1995. 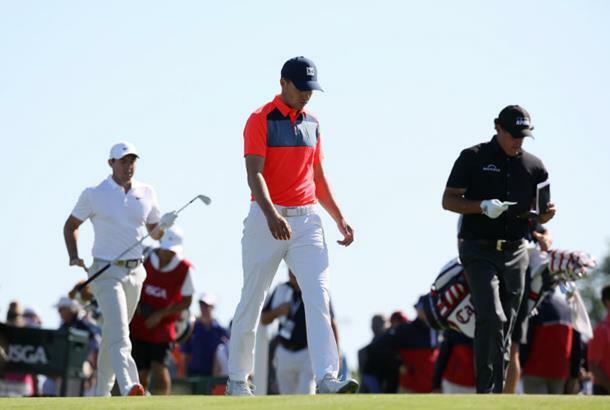 The biggest story of the morning rounds came in the form of scores to forget from the marquee grouping of Rory McIlroy, Jordan Spieth and Phil Mickelson – who totalled a combined 25-over-par. For McIlroy it was a career high round of 80, while Spieth’s 78 was his highest ever round in a major. Mickelson hit 13 fairways on his way to a 77, which was his highest score in a major championship when hitting that many fairways. England's Scott Gregory found himself at the bottom of the leaderboard with a 22-over-par 92, which was the highest 18 hole score in the US Open since Felix Casas shot a 92 in the second round at Bethpage Black in 2002. The highest individual score of the day was a nine from Scott Stallings, who hit the the par-four 14th green in three and proceeded to take six from there. 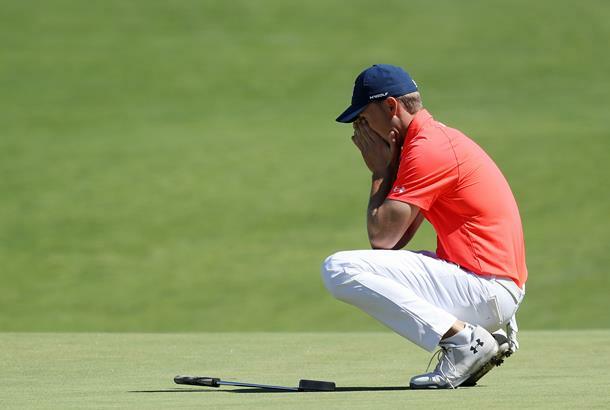 And he wasn't the only one who struggled on the greens, with both Tiger Woods and Shane Lowry being among the players to four putt on the course. Dustin Johnson (-1): I'm very pleased with the round. Anything under par on this golf course is very good, especially in the conditions we have today. I felt like, you know, from start to finish, it was very difficult. There was -- you know, you had to focus on every single shot you hit, putts, everything. You know, it was just difficult all day. I felt like the USGA did a great job with the setup. I felt like it was fair. You know, it was hard, but it was fair. It wasn't anything tricky or, you know, unreasonable by any means. Justin Rose (+1): It was about hanging in there. If I'd a shot 72 or 73, it would be a good day's work as well. Today is about eliminating a bad round, and I think it's turned into a really positive start. If you play really good golf, you're still a bit on the defensive side. I hit so many putts today, you're trying to make the putt but you're trying not to knock it four foot by. Around the cup, there are so many changes of slope. So you can be putting uphill all the way to the hole, but two or three feet after the hole, it goes up and over and away. So very tough to judge the speed. Patrick Reed (+3): I mean, it's playing tough. I mean, you're sitting out there and the wind's blowing 20, 25, with gusts. And the golf course is firming up as the week's going on. So balls are bouncing and releasing more than they were in the practice rounds, and when that happens, if you're not spot-on on absolutely every aspect of the game, you're going to struggle. The setup was fine. I mean, I didn't think there was a hole where that was set up unfair or anything like that. I felt like the pin placements were fine. You had to hit quality golf shots. They set up the golf course like a U.S. Open, like it should be. If you hit a great shot, you're going to be rewarded. If you don't, you're going to struggle. Ian Poulter (-1): It was extremely windy, and it was extremely difficult. So to come off the golf course under par is extremely satisfying. You know, it is a lot of guesswork, and you have to be patient. You're not going to get it right all the time. You're not going to predict the wind right all the time, and you're not going to hit the perfect golf shot all the time. So all of those factors add up to it being a stressful day. I guess I'm just walking off the course a little less stressed than some others. Brooks Koepka (+5): I mean, obviously, it's really tough. The wind's blowing about as hard as it can. The pin locations are pretty tough. Sometimes you're having to aim outside the fairway. If the wind's off to the left, you're aiming outside into the left rough. And if you just pull it and turn it with the wind, you're into the left rough. So it is difficult without a doubt. Putting is tough too with the wind and the greens being so slow and not particularly smooth. Some greens are a little faster than others. Just a little inconsistent on the greens. Charles Howell III (+1): I was most impressed with how the golf course was set up, to be honest. I was here in '04, my last competitive round here. I've still got some scar tissue from that. But they did a heck of a job today. It obviously is quite a bit longer now than in '04. But just the setup was fantastic. Today with this type of wind, this is the day they could have exposed it in this golf course, and it's a wonderful setup. If you miss these fairways with this crosswind, it can get awful penalizing really fast. And the people talk about the fairways are, quote, more generous for an Open. When the wind starts blowing this way, they're not generous. A lot of the difficult driving holes are crosswinds today. That's the key. If you don't drive the ball in play, it really doesn't matter what else you do from there. Russell Henley (-1): I knew it was going to be a tough day with this wind. As the day went on, the greens got firmer and crustier and harder and harder to make putts. So you just got to be patient out there. I hit my driver straight, and I just feel like if you can hit fairways out here, that's a huge advantage. The rough's -- they give you a decent amount of room to hit the fairway. So if you can hit a decent shot, it really sets up the hole. It's really tough to play from the rough here, obviously. We're at a U.S. Open. Jordan Spieth (+8): Very difficult. Got it off to a good start. It was hard after that. You just have to stay patient and understand that you are going to shoot 4-over plus once you are 4-over through two holes. Played pretty well to be even through the rest of the nine and then just didn't make very good swings. There were certainly some dicey pins but at the same time there was guys that shot under par. So I could have played better.